We are currently under construction during December 2012 and various changes will be happening with plans on our new look being finalized in early January 2013, until then - feel free to have a look around our brand new site! - The Horror Tourers. We are The Horror Tourers. 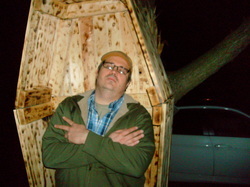 Visiting home haunts and professional haunts in and around the Chicagoland area and reviewing them. 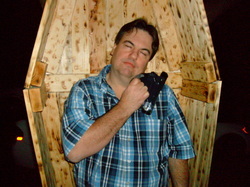 We started visiting professional haunted houses as a group in the early part of the millennia and around 2010 we started visiting home haunts that were as well done, and in some cases better, than the professional haunts. We have been visiting local haunts together for over a decade now and over the last few years we have been documenting our experiences with photos and videos, including our on-the-spot reviews. 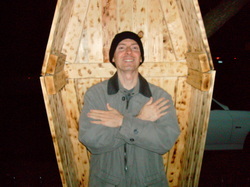 After having so much fun for so many years doing this, and as we have pictures and videos for the last few years, it was decided after our horror tourings in 2012 that we would share our experiences with the rest of the world for anyone interested. The brains of the outfit. Bryan is in charge of compiling the list of where and when to visit local area haunted houses, fitting in as many as we can visit in each day. Paul is the documentarian, regularly seen with some type of camera in tow. It's very amusing on those rare occasions to see him jump when something scares him. 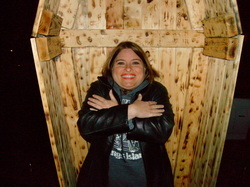 Laura is a fellow horror tourer and loves to go horror touring with us. She always loves it when Michael Myers pops up at haunts, whether he's an animated statue or living person - she gets freaked out by him. Lisa is Paul's wife and rarely goes horror touring with us as she is far too much of a chicken, but has a good time when she comes along. 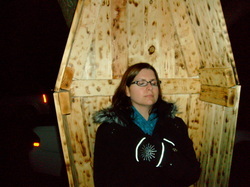 She only visits outdoor-type haunts such as yard displays or hayrides. James is an old friend of Bryan's that used to go haunting with him when they were young. 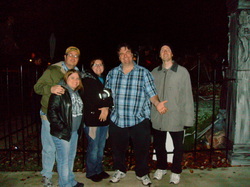 He comes with us occasionally and is always fun to have around on the haunts. 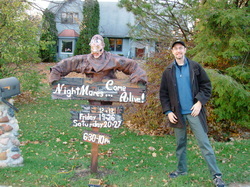 Wil is an old friend and he and Paul always set a day once a year during the halloween season to go horror touring. His reviews are quite cynical and it's fun to see him rant.